BC auditor general Carol Bellringer has plenty on her plate. The current work plan for her office includes reports on the BC Utilities Commission, the management of the province’s capital assets and health promotion in schools. Her office is planning audits of drinking water, end-of-life care and the BC Liquor Distribution Branch. She also receives hundreds of requests from individuals and organizations concerned about government operations. Some have merit; others do not. The recent request by University of Victoria’s Environmental Law Centre on behalf of the BC Wildlife Federation is one that no rancher, let alone any right-minded person, could consider appropriate. The request, submitted June 12, seeks “an audit and examination of cattle grazing leases on Crown land, and related issues.” BCWF appears to be concerned whether or not Crown lands are being used in British Columbians’ best interests and if the province is receiving the best bang for its buck. But a closer read of the request reveals that this isn’t BCWF’s main concern at all. It amounts to a full-out attack on our way of life and our livelihood. 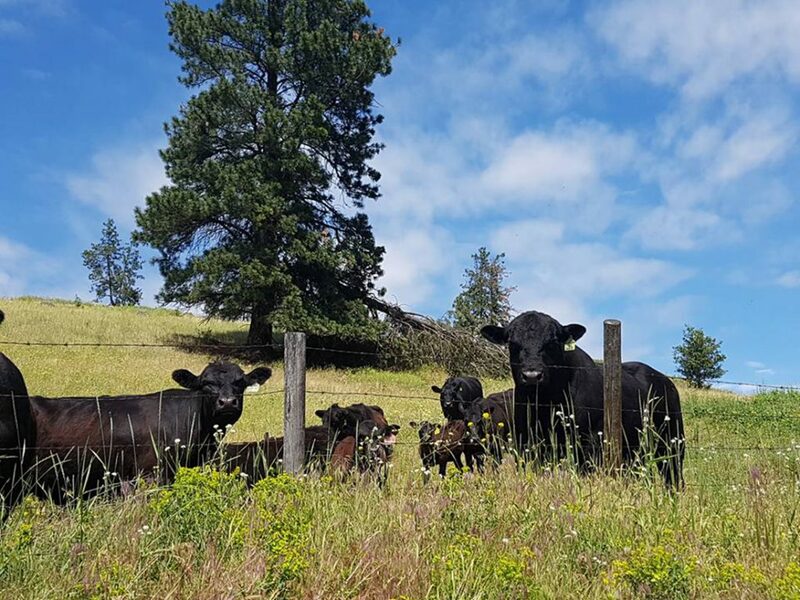 BCWF insinuates that the cattle industry is not viable and accuses ranchers of “imposing unnecessary costs on BC taxpayers.” Unfortunately, the arguments leave out vast amounts of information. It is worth noting at the outset that, concurrent with the audit request, BCWF is supporting ongoing legal action by the Nicola Valley Fish and Game Club regarding access to private, deeded land held by Douglas Lake Cattle Co. Under the direction of legal director Calvin Sandborn, the Environmental Law Centre has produced research supporting public access to privately owned lands, an issue championed by BC Green Party leader Andrew Weaver, who has proposed “right to roam” legislation similar to what exists in parts of Europe. Such legislation would effectively erode BC rural property rights to the point that landowners will in essence become powerless to protect their interests. The request also cites Weaver’s work regarding livestock contributions to greenhouse gas emissions. But according to the United Nations Food and Agricultural Organization (FAO), cattle account for just 9% of all human-induced greenhouse gas emissions. Singling out livestock producers for scrutiny is disingenuous. One can only take the context of these statements and how they are being presented as a personal attack on BC ranchers and all livestock producers. The attack doesn’t end at access and greenhouse emissions, either. Sandborn believes livestock operations contaminate the province’s water, and served as special advisor to a review of the province’s handling of aquifer contamination in the Hullcar Valley. The audit request cites a 2012 report for the BC Forest Practices Board that found “pervasive non-compliance” with measures designed to protect riparian areas. But highlighting an extreme bias on the part of BCWF is that the Forest Practices Board didn’t point to ranchers or even agriculture as the primary culprit when it comes to water quality. Ski resorts, recreational users, forestry activities as well as other forms of development, wildlife and even natural influences were mentioned. By identifying one factor without naming the others, BCWF representatives have over-simplified the issue to suit their agenda. The allegedly poor financial benefit to the province seems a minor concern in light of these issues, but BCWF nevertheless rounds out its critique by saying taxpayers are subsidizing the ranching industry by providing cheap access to Crown land and covering maintenance and repair costs that tenure holders should be paying. The bottom line seems to be that BCWF does not want cattle on Crown land. It is unfortunate that an organization that claims to be provincial in nature would attack a long-standing association of rural landowners, all in the name of fairness. Rather than engage in meaningful constructive conversations with landowners and cattlemen, BCWF has chosen to attack the very type of people who they should be working closely together with. Stewardship of the land is a rancher’s top goal; raising livestock comes second. If we don’t look after the land, we aren’t going to be very successful at feeding a cow. Many species of wildlife would also lose out. Ranches offer a safe haven from developed areas. Privately owned ranch land in British Columbia is one of the best ungulate nurseries we have. There are a lot of deer, elk and moose that take their first breath of air on someone’s deeded, private property. Our ranch has always allowed hunting, with permission. We do not have any grazing leases, only deeded land along with range licences. Those range licences are freely open to the public, and always have been. Going forward, there will be a new policy when an individual asks permission to use our deeded land for hunting, hiking or whatever pastime they wish to pursue. They will now be asked if they are a BCWF member. If their answer is yes, then our answer to them will be NO. The livestock industry is a major contributor to British Columbia’s economy and should not be the subject of an attack based on cherry-picked facts. Mike Gilson operates Bear Valley Ranch southeast of Quesnel. Country Life in BC welcomes guest editorials. 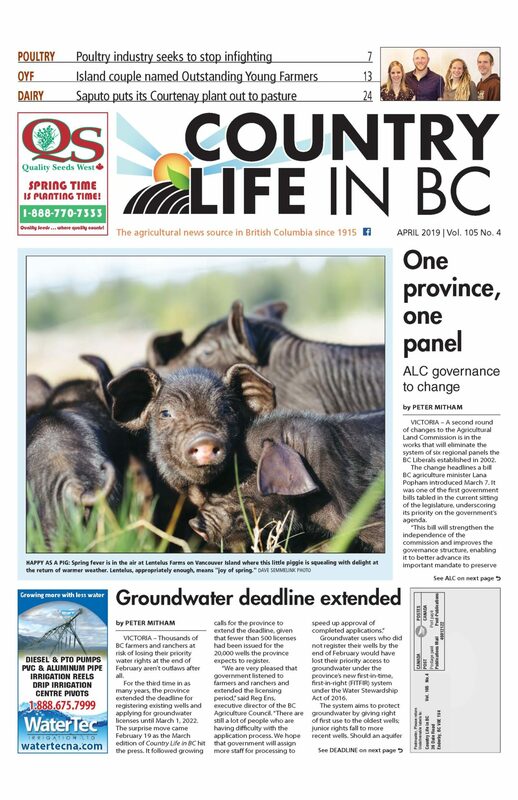 If you have something you’d like to say, contact editor@countrylifeinbc.com for editorial guidelines.